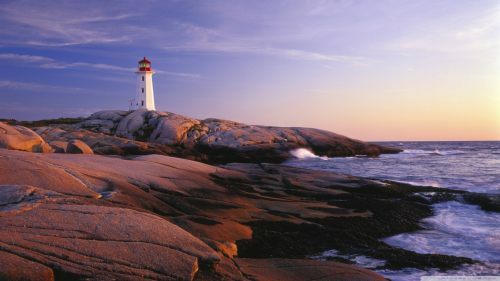 WestJet is showing some insane prices from Edmonton to Halifax, Nova Scotia for just $239 CAD roundtrip including taxes. Truly great flight deals within Canada are extremely rare. This may not last very long. I'll post screenshots to prove it ever existed. 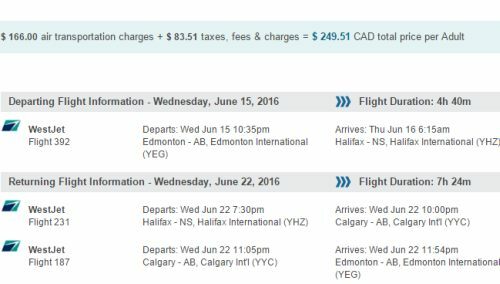 7 Responses to "Edmonton to Halifax, Nova Scotia - $239 CAD roundtrip including taxes"
I tried to get the YEG to Halifax deal and it showing prices above $500. UPDATE: Just posted 5 new date combinations that have not sold out yet (as of 11:08 AM MST). Prices were verified right up to the payment page. SAME HERE. NOT WORKING FOR ME AND I WANT TO BOOK SO BAD! Great deal. I found the reduced fares. Thanks!!! Where are the ones that aren't sold out Chris?? Any July/August dates?! This is fantastic!